Welcome to Waterfront Communities in Seattle, WA! Known for its urban amenities, open spaces and waterfront attractions, Seattle, Washington is the most populated city in the state. The “Emerald City” has a reputation for its hiking resources and rich cultural life and ranks among the 50 fastest-growing metropolitan areas in the United States. Water lovers will find it easy to interact with this dazzling element every day with the Puget Sound, Lake Union or Lake Washington. Charming waterfront communities, such as Medina, Mercer Island, and Kirkland, are located within an hour of busy downtown Seattle, yet they offer the peace and serenity of locations that are seemingly a world away. Elliott Bay is a natural deep-sea harbor that is loaded with ferry boats, pleasure crafts, luxury cruise liners, and tour boats. As Seattle’s central waterfront, it extends along Alaskan Way from Pier 70 on the north to Pier 48 on the south. The Seattle aquarium is built on top of Pier 59. Take a dinner cruise, a scenic boat trip or enjoy an array of Northwest seafood delights. A lasting heritage of the 1962 Seattle World’s Fair is the 74-acre urban park called the Seattle Center. It is home to the world famous Space Needle and numerous cultural venues, including the Experience Music Project, Science Fiction Museum, Pacific Science Center, and Seattle Children’s Museum. It also hosts the Seattle Arts Festival, Northwest Folklife Festival, Magic Giant children’s festival, and other arts and entertainment galas. Positioned at the tip of the 5-mile long Dungeness Spit in Sequim on the northern coast of the Olympic Peninsula sits the New Dungeness Lighthouse, which has been in permanent operation since 1857. The Spit, which is a part of the Dungeness Wildlife Refuge, serves as an important habitat for more than 250 species of birds and 41 classes of land mammals. The metropolitan area of Seattle, which includes Medina, Mercer Island and Kirkland, offers exclusive, small-town living with all of the amenities of a world-class within easy reach. Enjoy the outstanding housing options, culture, entertainment, and international diversity, with an eye-catching natural setting. Despite what you may hear about incessant rain, the summers in the area are actually warm and dry. Many consider the area as the “boating capital of the world” because of the abundance of harbors and the spring and fall fairwinds that provide excellent conditions necessary for sailing. The local parks provide some of the best hiking trails you will ever have the experience to encounter. Nearby Olympic National Park and Mt. Rainier offer amazing outdoor destinations. Pioneer Square provides a peek at how the area looked prior to the Great Fire in 1889. A popular landmark appreciated by residents and visitors alike has to be the nine acre historic district at Pike Place Market. One of the oldest continuously active farmers’ market in the nation, it features, arts and crafts, fresh fish, produce stands, food, bars, and street musicians. Learn about Native American art and culture at the Burke Museum and Seattle Art Museum . Waterfront living in Seattle-area like communities Medina, Mercer Island and Kirkland offer some of the most spectacular living available for singles and family who enjoy an abundance of walking, jogging and hiking paths, boat marina, tennis courts, and sandy beaches for swimming. Lake Washington along spans more than 19 miles and has more than 200,000 acres of water surface area. The market for waterfront homes can range from around $400,000 for condominiums to millions of dollars for upscale mansions. 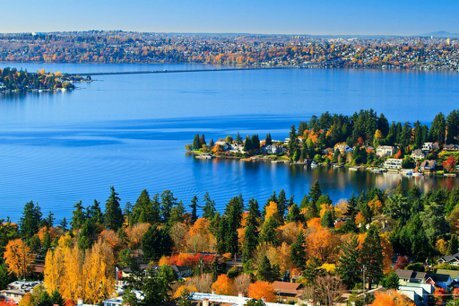 Kirkland: This lakeside community is located just across Lake Washington from Seattle. It has a mix of more suburban, affordable single-family dwellings to the east to upscale residences on the waterfront. Many of the condominiums are also positioned along the shoreline. This “walkable” city has an “old town” ambience and boasts unique restaurants and high-end shops. Mercer Island: Located just minutes from downtown Seattle and Bellevue, this largely residential island sits in Lake Washington and has a plethora of restaurants and boutiques doors located in the downtown area. It has more than 400 acres of park that encompasses 50 miles of hiking trails. Luther Burbank, the largest of the city’s 35 parks, runs along the waterfront. Its amenities include public swimming and fishing, boat dock, amphitheater, and tennis courts. The town has some the most spectacular waterfront residences, including older homes that have been updated with the latest amenities. Quality housing, superb dining venues, diverse entertainment options, and an environment conducive to and active lifestyle makes waterfront communities like Medina, Kirkland and Mercer Island, and other communities attractive for millennials who enjoy nature and an abundance of quality-of-life options. 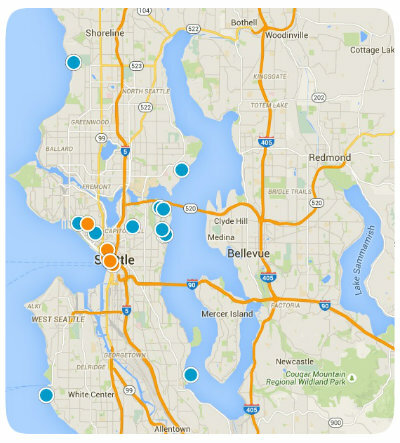 The Seattle-area is a hub for technological innovation, trade and international commerce. Microsoft, T-Mobile, Expedia, and Puget Sound Energy have their corporate headquarters here. Sixty percent of the workforce have a bachelor’s degree or higher. Consistently ranked among the best place to live in North America. 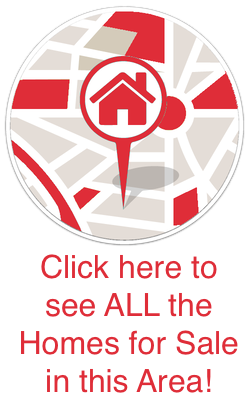 Reside in one of the many tranquil and scenic waterfront communities, yet have easy access to a dynamic urban settings with a melting pot of cultures and unlimited opportunities.